Gupta Empire Education played an important role in the Gupta period. During this era, primary education was obtained by the people. In case of formal and higher education, the people of the Gupta Empire were required to stay in Brahmanical Agraharas or Buddhist monasteries. During the Gupta dynasty period, even women were allowed to obtain an education. There were many educational institutions and universities set- up to enable people to study. Cities like Pataliputra, Ayodhya, and Nasik were significant educational centers of those times. 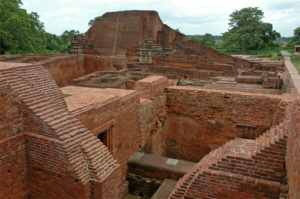 Nalanda and Takshila were two popular universities during this period. Nalanda University was established by Kumaragupta I in the 5th century. 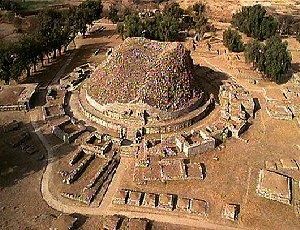 The university was one of the important learning centers of the Gupta period and it was situated in the present day Bihar. The university offered a variety of courses for the students. The standard of education of the university was so high that it attracted students from foreign countries like China and Persia. Nalanda University was one of the first universities which provided residential quarters or hostels for the students. The Nalanda University was also known for its library. The Nalanda university library was known as Dharma Gunj which meant Mountain of Truth. It was also known as Dharmaganja. The university library had three main buildings known as Ratnasagara or Sea of Jewels, Ratnodadhi or Ocean of Jewels and Ratnaranjaka, meaning a collection of gems. The Takshila University was one of the first few centers in the world which offered higher education. The university was however established before the Gupta Empire came into existence, somewhere around 700 BC. Takshila University was a center where a variety of subjects were taught to the students. These included astronomy, medicine, accounts, politics, mathematics, science, law, music, painting, and many other subjects. The students of Takshila University had to pay the requisite fees in order to obtain an education. Like Nalanda University, Takshila attracted students from foreign countries.